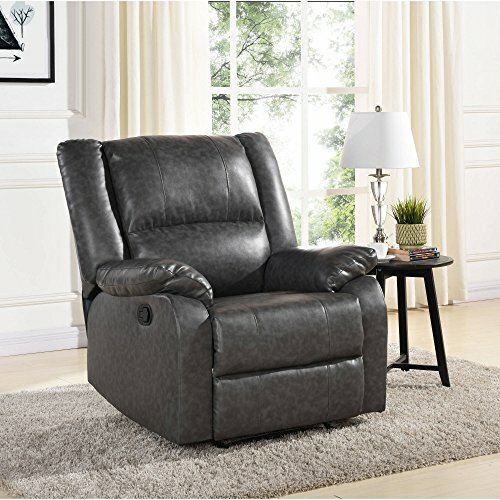 Mainstays Faux Leather Recliner Grey, Dimension: 34.25 x 29.92 x 29.13 Inches by Mainstays at Indsight. MPN: 55794540. Hurry! Limited time offer. Offer valid only while supplies last.